Tesla Motors Inc. has announced a recall of its Model X sport-utility vehicle, reported The Wall Street Journal. 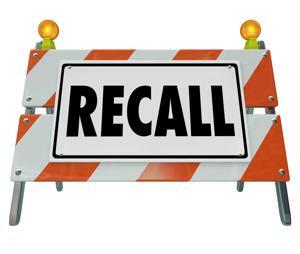 The recall was enacted as a result of a faulty third-row seat that could potentially come unlatched during an accident. The issue was uncovered during internal testing before the company began delivery to European countries. According to the source, Tesla claims it has yet to receive any reports of accidents or seat failures due to the faulty product. Despite having passed 15 different safety tests and meeting U.S. standards on all counts, the latch issue was revealed in the final round of testing, explained USA Today. President of Sales at Tesla John McNeill claims the problem was a direct result of a manufacturing flaw by an outside vendor within the company' supply chain. "We put safety at the very top of our list in terms of our priority, so if there is any probability of an issue, we will take action," McNeill said, according to the source. Tesla's next steps involve reaching out to all current vehicle-owners and sending company workers to make replacements. In total the repairs are set to take two hours for each affected car. For Tesla, the recall comes at a less-than-optimal time. The company is set to increase production levels on the $81,000-and-over car, noted WSJ. The company reported the production of 750 vehicles per week late last month. Prior to the announcement the organization had more supply chain problems, citing a lack of parts supplies in the beginning of the year. All eyes are on the next roll-out for Tesla as it looks to launch a new car in late 2017. The Model 3 is a five-seat sedan and the introduction of the new vehicle will require the company to ramp up production levels within the supply chain quickly. Tesla has already recorded 325,000 reservations for the Model 3, noted the source. The current recall encompasses vehicles built before March 26.Tesla has taken over the production of the middle row seats from its former suppler Futuris Automotive. The partner company is taking full responsibility and absorbing the costs associated with the recall, explained WSJ. Repairs and further production will all be conducted in-house at Tesla to ensure efficiency.